You may be able to achieve some nice rankings through basic SEO, drive some decent traffic with a PPC budget, but what if that’s just not enough? More and more the words “engagement” and “community” are being thrown around. But what do they really mean to business? 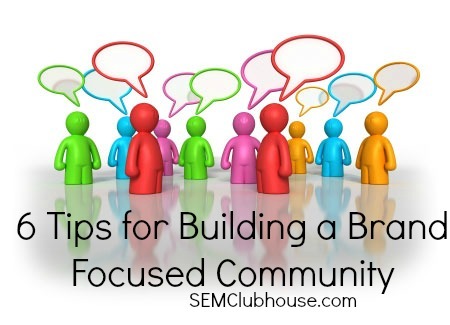 Can engaging your customers and building a community really drive more traffic? You bet they can! We put together some tips that can help you talk WITH your community instead of talking AT them. Answer questions. I’ve heard at least four times in the last month that people are frustrated with brands that don’t answer questions posted on their FB page. Many brands talk AT their potential consumers, and don’t talk with them. If someone engages you, you better answer them, every single time, because this is the bread and butter of starting your community. IT doesn’t matter what platform. Your website, Twitter, Facebook, LinkedIn – anywhere – of there is a question or comment directed to you, or about your product or service, you need to acknowledge that you read it. Even if it’s with a simple “Thanks for your comments.” But be careful – don’t copy and paste the same response 20 times in a row, which looks like an auto responder and will irritate customers more than saying nothing. Be genuine. If you don’t care and don’t want to talk with your customers, don’t get a Facebook page. Name and Logo matter. Building a brand can be done with any business name, but if you have something catchy, funny, memorable, even controversial, it will stick with people and they will remember it when they are ready to buy. Design a fun or functional logo that doesn’t look like anyone else’s – especially anyone else in your niche. Tagline. I love taglines. I try to be very descriptive of what I offer, what the value is and why my brand is better than anyone else’s. The tendency here is to be verbose, but keep it short and sweet and memorable. The most successful story tellers can tell stories in 10 words or less. Can you? Do what you Say. Don’t make promises you can’t keep. Period. Do what you say you’re going to do, and do it well, and acknowledge when it isn’t done well. Sometimes a mistake can bring more brand advocates on board if it’s handled humbly and honestly. Say what you do. Don’t hide your mission from your customers. What is your goal, why do you come to work every day? The more passionate you are for your work, the more contagious that passion becomes. Tell people what you do, and why you do it. Tell them the story. Building a brand can be fun, and exciting, and the process can bring together a lot of different facets of your business that have never worked together before. Everyone you employ should be passionate about what your company does. USE that passion. Have to have an open mind about where you’ll end up. Not every task, post, thought, or idea will be successful. Be prepared to fail. For every 10 times you try to engage the audience, maybe ONE will work – but when it does work, be sure you’re learning from it. This entry was posted in Public Relations, Social Media, Word of Mouth Marketing by Carrie Hill. Bookmark the permalink. Building a brand-focused community is often the desire of many companies or marketers. But many seems to miss the point on how really to achieve this. In building a brand or community, it is essential that the marketer draw closer to the consumers. The consumers should be understood and communicated to from time to time. A community cannot be built without trust irrespective of the quality of the brand. So, I agree with the six tips highlighted by Carrie Hill. They are spot on and should be considered by marketers who could be wondering how best to build a brand-focused community!